(Don't bother checking the last one in the dictionary; you won't find it!). Those adjectives aptly illustrate the feelings of millions of Nigerians, including me. Indeed, we ought to be satisfied considering the remarkable facts that the result was only the Eagles first away win in two years; it was Zambia's first ever defeat at the Levy Mwanawasa Stadium; and, for the superstitious ones amongst us, the victory must have been a pleasant surprise seeing that the Eagles played in the infamous “unlucky” white jerseys! Perhaps the icing on the cake of a great weekend for Nigeria was the 1-1 draw played out by Algeria and Cameroun in the group's other match, which has placed us first on the table with three points after the first round of the games. That is where we want to remain throughout the qualifying series by the special grace of God, amen. However, the flip side of that 1-1 draw between Algeria and Cameroun is that it has stung Algeria, the top seeds in our group, into a very, very a bad mood for their next game which is against Nigeria next month. And rather than coming with a minimum objective of securing a draw which is their usual practice, the North Africans will be coming now with the maximum objective of winning the match. Make no mistake, the Super Eagles are in for a helluva fight when the Desert Foxes come visiting on November 12, 2016. The Eagles deserve all the plaudits we have showered on them for the victory in Zambia, but I have decided not to dwell on it because I am writing this article 48 hours after the match and I think the celebrations should be over by now since there are greater challenges ahead. The result in Ndola was excellent but the performance was not excellent. Football is a team game, but any time your goalkeeper is picked by most as the Man of the Match, you must face up to the reality that your opponent has had the better of the attacking play, irrespective of the outcome of the match. Coach Gernot Rorh must take a hard look at his team with a view to shoring up the weak links in the Eagles. 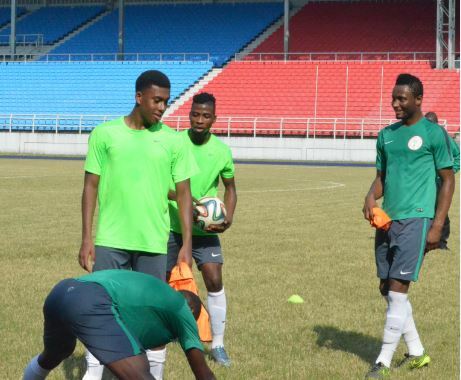 Red flags have been raised about the performances of full backs Elderson Echiejile, Wilfred Ndidi and center back Kenneth Omeruoh against Zambia. In midfield, captain Mikel Obi's lack of playing time at Chelsea meant it took him time to settle into the game, while Ogenyi Onazi also struggled. In attack, Brown Ideye was a surprise starter for me although he takes the credit for the assist that led to Kelechi Iheanacho's brilliant second goal for Nigeria. Overall, the performance level of the entire team dropped dramatically in the second half, although the hot weather has been held partly responsible for that. I am not in the habit of picking players for the coach because I believe that is his primary prerogative. I wait to see the coach's selection perform, then make my observations thereafter. On the evidence of the Eagles showing against Zambia, it is. clear that we need to strengthen the team to face an Algerian side that would be a totally different prospect. 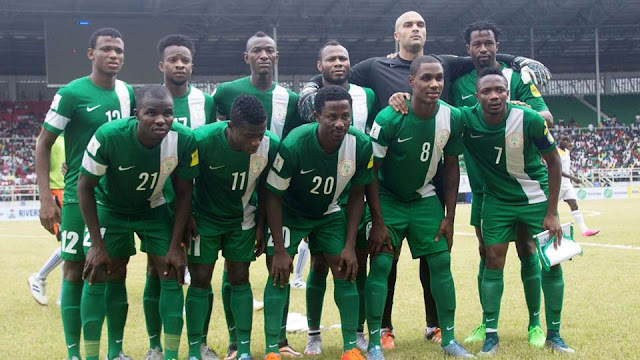 For example, Iheanacho and Alex Nwobi who were the brightest outfield players for the Eagles against Zambia are young players who will need a stronger support base to be able to inflict damage on a more organized and more experienced Algerian team parading players who played at the highest level of the FIFA World Cup in Brazil 2014. I'm sorry, but I doubt very much if an Ideye can provide such “leadership” in attack against Algeria. We need a sharper and more rugged striker that can distract and disrupt the Algerian defense hard and persistently enough for Iheanacho and Nwobi to feed from and make hay. I have a few suggestions for Rorh and the Nigeria Football Federation (NFF). First, Cameroun have just demonstrated how to stop Algeria. Let's get a tape of that match, see how they did it and see what we could learn from them. I didn't watch the game but, from past experience, I suspect that Cameroun would have paraded some really big and tall players capable of a fight because the Algerians themselves are no push-overs in the physical side of the game. Second, Nigeria's most recent confrontation with a North African side was the two-legged AFCON qualifier against Egypt which the Pharaohs narrowly won 2-1 on aggregate to eliminate us earlier this year. Although we lost, I think Samson Siasia who was interim coach of the Eagles at the time paraded a very strong line-up and deployed an effective strategy. With a little luck (we narrowly missed a second goal that would have sealed the first leg 2-0 in Kaduna) and a bit more concentration (a lack of which cost us a late equalizer for 1-1), that team could have been beaten Egypt to the AFCON ticket. I suggest that Rorh should also look at the tapes of the two matches and then go one step better than Siasia against the North Africans, this time, Algeria. In particular, one player that I would like to see from the Siasia team but who was absent in Ndola is Oghenekaro Etebo. His raw physical strength, rampaging runs and powerful shooting were simply too much for the Egyptians to handle. I'm sure that the Algerians would find him a handful as well. The North Africans respect (even fear?) big, strong sub-Saharan African players because of their athleticism and physicality. It's not a coincidence that their best club sides (Zamalek, Al-Ahly, Esperance, Entent Setif, etcetera) are always recruiting strikers from West Africa. We must take full advantage of our physical attributes. To conclude, my view is that nothing has really changed yet about the dynamics of our World Cup qualifying group. Nigeria lead the group now on three points, but we are not the favourites to win it yet. We defeated Zambia but, with all due respect to them, I said before the game that they were the “weakest team in a very strong group” and the least that the Eagles must get was the full three points. The balance of power in the group will start shifting decidedly in Nigeria's favour only if we beat the favourites Algeria in our next game. Another win and another three points for Nigeria will open up a five-point lead on the top seeds after two rounds of matches. That will be a clear sign of intent on the part of the Super Eagles that they truly want to go to Russia 2018. I am predicting that 13 points will be enough to take us there. For what Cameroun might likely do or the impact they may have on Nigeria's qualification chances following their own equally impressive start with that precious away point secured in Algeria, let's leave that for now. We will talk about the Indomitable Lions only after we might have beaten the Algerians next month. Every single game in this very tough group will be a fierce battle and we must take them only one at a time. Good luck to Nigeria. LAST WEEK, I challenged the Nigeria Football Federation (NFF) hierarchy led by president Amaju Pinnick to focus on their priorities and stop spending scarce resources on ego trips while complaining of paucity of funds. It appears that for the NFF, old habits die hard as they had gone ahead to book “between 60 and 70 hotel rooms” in Zambia for “stakeholders” that travelled on the chartered flight with the Super Eagles even when the flight had not been paid for. My question to the NFF leadership is, how do you expect players to believe that you're broke when they continually see so many joy-riders lapping up freebies right before their very eyes? Apparently to deflect further criticisms, the NFF reportedly issued letters informing the “stakeholders” on the trip that only the flight was free and that everyone would be responsible for their own accommodation and feeding. Don't ask me if that “instruction” was adhered to because I don't know. People who should know are not willing to talk! But having flown “stakeholders” all the way from Nigeria to Zambia and with “between 60 and 70 rooms” already booked, I leave you to draw your own conclusions on what the NFF would have done. To be honest, I have no problem with the NFF taking people along to games. Some of the “stakeholders” are genuine and deserve their places. But the problem is that too many joy-riders who have absolutely no business on the trip slip through the net simply because they're well connected. When we say Nigeria is in a recession and that the NFF is broke, surely we cannot continue with wasteful habits of old. I hope Pinnick will prevent a reoccurrence of the Ndola near-embarrassment. While on the subject, I heard from a reliable source that ticket refunds and outstanding bonuses were paid to the players before the game in Zambia which must have boosted their motivation. What is unpaid now is the bonus for the win in Zambia itself. The NFF should settle that, too, before the next game against Algeria. Also, I hear that coach Gernot Rorh has been paid his salaries up to date from where he settles his foreign deputies. But his Nigerian assistants are not so lucky. Salisu Yusuf, Alloy Agu and Imama Amakapabo have not even been given signed contracts by the NFF, much less paid a salary. President Pinnick, why the double standards? Why are you treating your own people like second class citizens in their own country? Correct the situation, please. And do it fast. My last word today goes to minister of sport Barrister Solomon Dalung whom I also challenged last week to write a memo to President Muhammadu Buhari to rescue the cash-strapped NFF. I don't know whether Dalung read my column, but coincidentally, it was his memo to Mr. President that reportedly yielded the funding to execute the Zambia game. If we will need another memo to get funding for the Algeria game, Dalung shouldn't wait till the last moment again. He should write that memo now! · #SOARSUPEREAGLES! In 1993, captain Stephen Keshi of blessed memory shed tears of joy when Nigeria finally picked the sole World Cup ticket in a tough qualifying group comprising of Nigeria, South Africa, Ivory Coast and Algeria. Nigeria has started another campaign 22 years later and I see history repeating itself. – Omojola Kelly, Ikorodu, Lagos. · MY DEAR Mumini, tanks for bringing it back Soccertalk. Your write-up on #SOARSUPEREAGLES was a very good one. It is now left to Mr. Amaju Pinnick and his NFF management team to support the coaches with the logistics needed for the successful prosecution of the World Cup qualifiers. I missed your story on Rangers International. How can I get it? I have followed Rangers since 1974 and will love to read that great story and keep it in my library. – Chime, Lagos. *You can read the article and other past articles on my blog, www.soccertalknigeria. blogspot.com. Thank you. · #SOARSUPEREAGLES! Alhaji good morning. I am a 73 years old follower of your paper from the days of Sports Souvenir. I am proud of your sports information. Of late, you are no more giving comprehensive reports as before on the CAF matches whether involving Nigeria or not. This new trend is not for old readers like me who are very much used to your paper and cannot afford to read other sport papers. Please do something. – Banjoko. *Your request is noted, sir. · You did it again! Your #SOARSUPEREAGLES! was vintage Mumini Alao. Honestly, there is nothing to add to or minus from the piece but I HOPE the Eagles would heed your advice and play for Nigerians and themselves no matter what the NFF does or does not do. Nigerians now respect Mikel Obi better because of his attitude at Rio 2016 Olympics. This class of Eagles should just do the same. – Howard Odigie. · #SOARSUPEREAGLE! Thank you Mumini for your piece of advice on how NFF and the sport minister should handle things administratively. I pray they heed to this advice for a better future. – Gabriel, Sango-Otta. · #SOARSUPEREAGLES! I'm from Benin Republic. I give all my support to Super Eagles because I like them. And I want them to qualify for World Cup where my country can't reach. Good luck. – Romain. · #SOARSUPEREAGLES! I have just realized this week that your Soccertalk is back. Welcome sir. – Abiodun. · #SOARSUPEREAGLES! 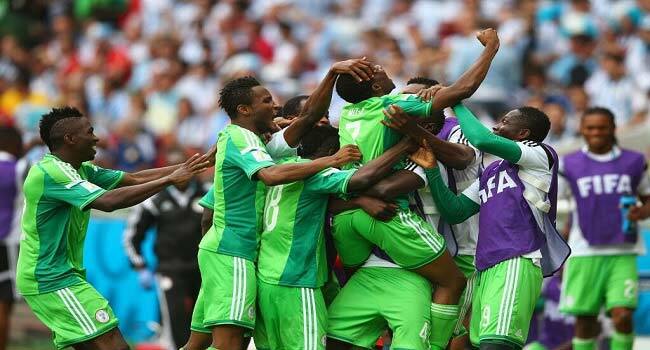 After failing to qualify for two consecutive AFCON, it is mandatory for the Super Eagles to qualify for the 2018 FIFA World Cup. I wish our darling team good luck. – Blo Kenny, Alagbado, Lagos. · #SOARSUPEREAGLES! The players should just forget about NFF and do their job. God bless Nigeria. – Obanimo Bash, Kogi State. · #SOARSUPEREAGLES! Until I got to the memo part of your article, I was thinking justice was not done especially on the part of the players but I'm happy that you nailed the coffin with your advice to them to focus on their goal. Kudos Alhaji. – Adewusi Adewale, Ibadan. *The NSC “campaign box” is back. · #SOARSUPEREAGLES! FIFA World Cup without Nigeria is sickening. All parties involved must play their part well beginning from the football officials, the gladiators and their technical crews, stakeholders, fans and Nigerians in general. Zambia, Algeria and Cameroun must not kill our dream. Let the right players be invited and selected for the game and we'll be good to go. Fantastic write up Alhaji Mumuni, Etebo is really needed for the Algeria game, by the way the Algeria vs Cameroon game is on youtube and honestly after watching that game almost 5 to 6 times my heart was beating very fast...the Cameroonians were very physical and that helped them. Rohr 4-2-3-1 formations may not be the best, against Zambia the formation kept going to a 4-2-4 (a formation of the 1970s) Simon was not helping the matter and Iwobi burning out fast and this showed in the 2nd half until Esiti came in for Ideye and the midfield stabilized a little in a 4-3-3 formation. Mr Rohr also need to look into possibility of a new fullback as Ndidi was left exposed by Kalaba(Simon did not help the matter). Hopefully we can take another 3points come next month. It's fantastic. Thanks for your posting!! !